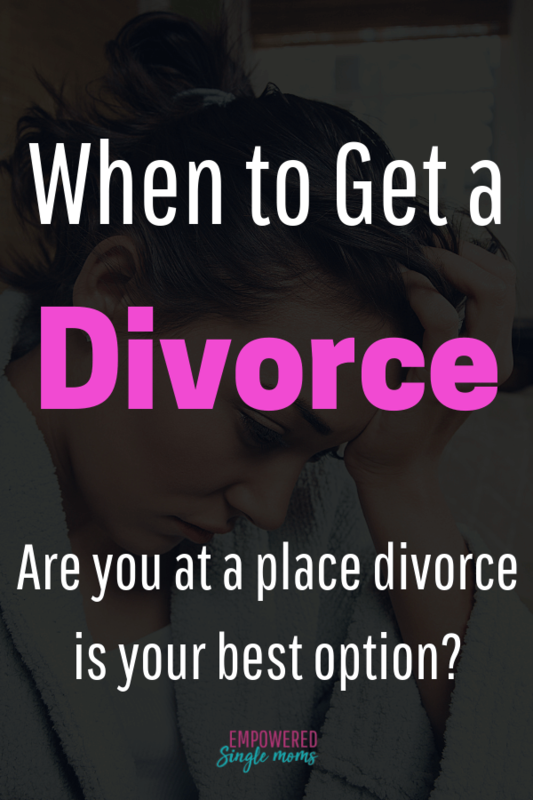 Inside: Have you ever wondered how to know when to get a divorce? 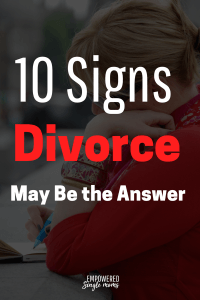 The top reasons to divorce your spouse. Are you wondering, “Should I get a divorce?”. When is it time to get a divorce? Here are the top reasons to divorce and say yes to this question. Sometimes divorce is better than being in a bad marriage. An affair doesn’t need to be the end of your marriage. With hard work on building trust and forgiveness, some couples have a stronger, better marriage after an affair. For some couples and affair is the end of the marriage. The first step in healing after an affair is for contact with the affair partner to totally and completely stop. No phone calls, no texting, no being friends. Ideally, if the two are coworkers, one will get a different job. (This may not be possible without extreme financial hardship, but it is the ideal.) If the person having the affair is unwilling to do these things, there is little hope of the marriage lasting. If you decide it is time to end your relationship this guide to a happy, positive life will show you the way. The first chapter focuses on your first month as a single mom. This journal will walk you through dreaming a new dream, setting goals and measuring your progress. Physical abuse is never okay. Spouses who batter will often try to make it seem like the victim’s fault; it is not. If you do not feel emotionally strong enough to leave a physically abusive relationship, immediately get help from a trained mental health professional. You can go to a battered women shelter temporarily if you are in an unsafe relationship. Your local police department and social services agency will help you locate a nearby shelter. This is definitely the top reason to divorce. When your children are unsafe you need to do what needs to be done to get them in a safe situation. Too often, women stay with men who physically or sexually abuse their children. This is not okay. Your first job as a mother is to protect your children. Some women stay because they feel they have no other option. In the United States, there are many programs to help you. You can access battered women’s shelters, financial assistance programs, and legal aid. It will not be easy, but do not endanger your children because you are financially dependent on their father. Use your resources. The police and local social services agency can help you locate needed resources. It is an alcoholic or addict’s decision to drink or use drugs. It is your decision to live with an alcoholic or drug addict. There are many resources to help alcoholics and drug addicts, including Alcoholics Anonymous, Narcotics Anonymous, and many chemical dependency treatment programs. One important thing to get help someone must accept they have a problem, this often does not happen. Al-Anon is a good resource for you whether you stay or leave your addicted spouse. Simple & effective custody plans. Less confusion, more parenting. Gambling addiction is as real as alcoholism and drug addiction. When your spouse is addicted to gambling, there may be no stopping them. Too many people lose their homes or go to prison for stealing money to gamble because they believe that they will win it back. This puts you and your children in severe danger. Other people run up tens of thousands in credit card debt as if the time to pay will never come. This behavior can be changed and people can change–but only if they are willing to admit they have a problem. The gambler gets to decide how they manage their money. You get to decide if you support their behavior. You only have control of you. Many people with mental illness have good marriages. There is a wide range of severity in mental illness. Some mental illnesses are curable; other mental illnesses are manageable. A person must be willing to do the work and get the help. When they don’t, life can be extremely chaotic and even dangerous. Marriages are highly conflicted for many reasons. This can usually be resolved with the help of a marriage therapist if both people are willing to work on improving communication and conflict resolution skills. Sadly, there are situations where people are unable or unwilling to stop the conflict. According to research, when there is daily high-level conflict, the environment is toxic for everyone. Maybe it is not your spouse who is unwilling to give up the affair, it is you. You must end the affair and work on your marriage, or end your marriage. If you think you will choose your affair partner over your marriage, please remember that affairs rarely end in healthy, happy marriages. When both people work on the relationship and are committed to staying married, a few months of marriage therapy will make an amazing difference. On the other hand, sometimes marriage counseling makes it abundantly clear that your differences are irreconcilable. “Should I get divorced?” is especially confusing if your spouse says he is done or is leaving–and then he doesn’t leave. This may not be as clear as your spouse choosing another person in an affair or being abusive or an alcoholic or drug addict. There’s nothing to help you make sense of the fact that he doesn’t love you anymore and that he doesn’t want to be with you. You can’t believe it is true, but he does not change his mind. You may want to stay married. 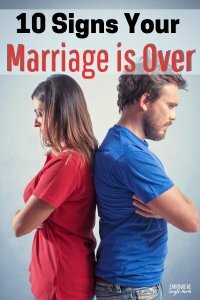 However, if your spouse has decided he is done with the marriage, it is over. It takes two people to make a marriage work, but only one to end it. You can attempt to change his mind, but when it is over, it is over. Cry. Grieve your loss. Grieve your dreams. And then let it go. Accept your new reality and make a new plan. I realize this is all easier said than done, but it must be done. Think about The Walking Dead. A relationship only one person is fully committed to is like a zombie: half alive, half dead. Your relationship only resembles what it used to be, and now it is capable of eating you alive. Let it go. Find a safer, happier place for you and your children. Is Co-parenting with a Narcissist Possible? It’s the question you never thought you would ask. You didn’t get married, have kids, and think “Oh well! If it doesn’t work out I will just get divorced.” But life never goes exactly as planned and sometimes it is nothing like you imagined. If you can, work to change your marriage and make it better. Imagine yourself five years in the future. Ask yourself, “Five years from now, will I be able to confidently say, ‘I did everything I could to save my relationship’?” If you can say yes, you will be at peace. If you see your future self having regrets, by all means, try something else. The hard work can be worth it. Sometimes you must accept “it is what it is” when the relationship you have is not an acceptable option. At that point, choose to be your own advocate. Let the relationship go and make a plan. Picture a new bright future and work toward new dreams for you and your children. I provide coaching services and two great times to get coaching services are 1. When you can’t decide if you want to stay married or not and 2. You are getting a divorce and you need to rebuild your life. Give yourself the gift of coaching. More information about Tamara’s coaching services here. Later when you start to wonder, “Am I Ready for a Relationship?”. I have a quiz to help you figure it out. Previous Post: « Do You Need Shortcuts to Healthier Meals?